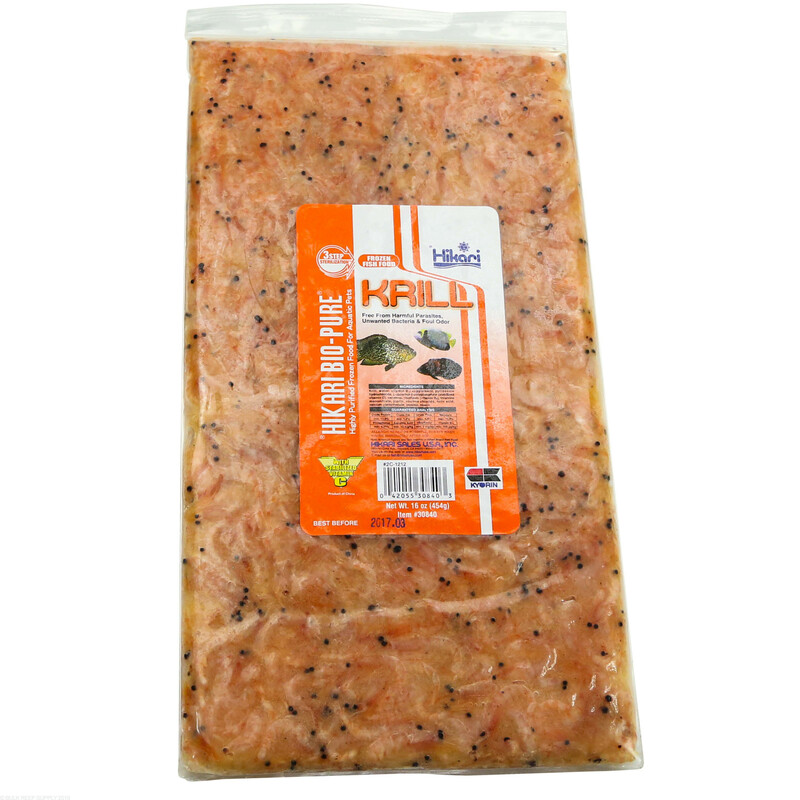 Krill is known to naturally contain higher levels of astaxanthin, which your fish can use to improve their coloration. 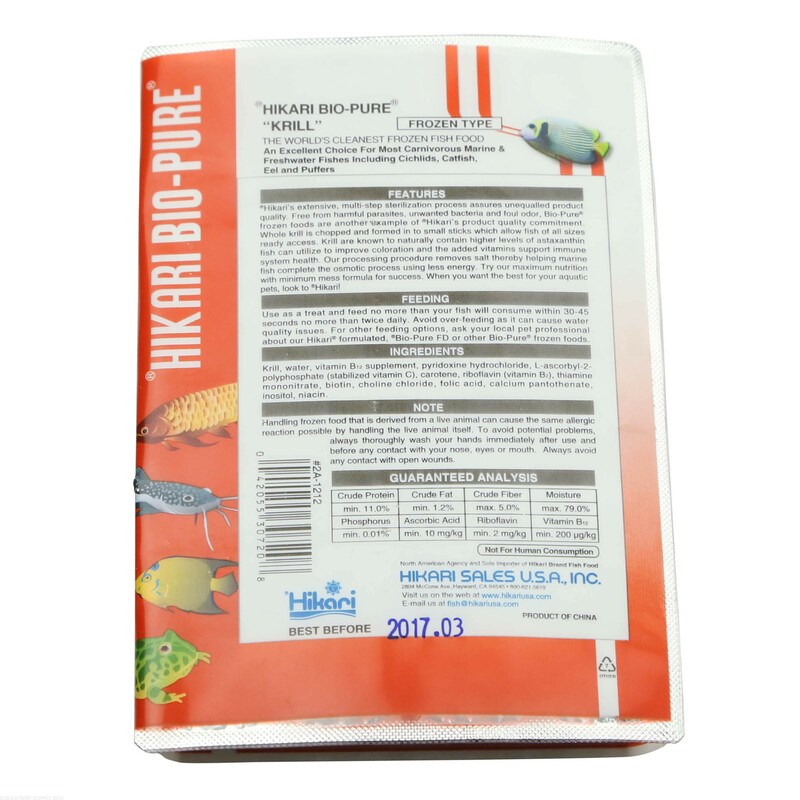 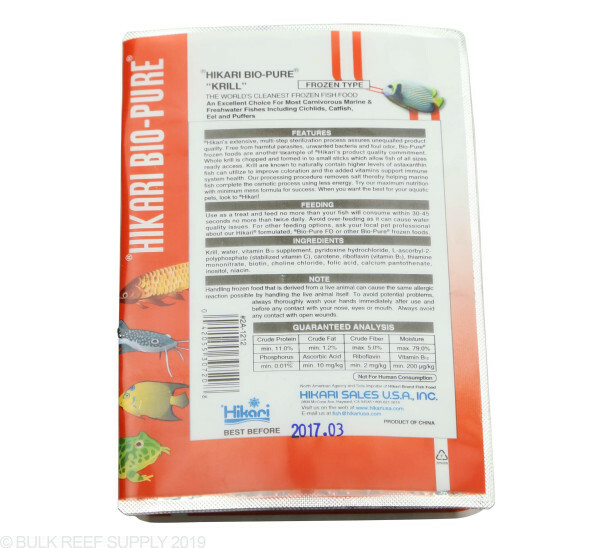 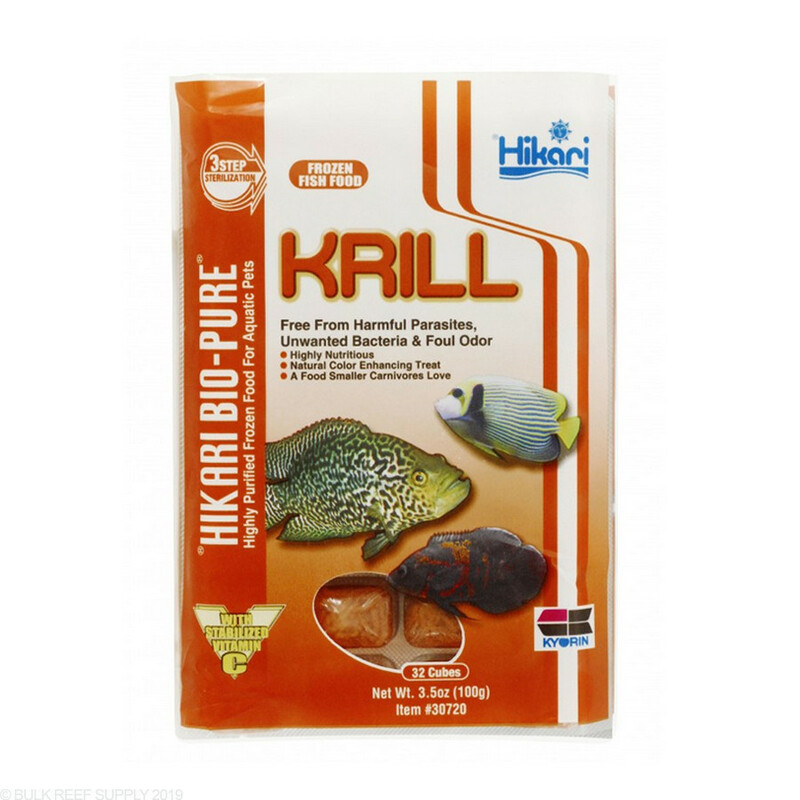 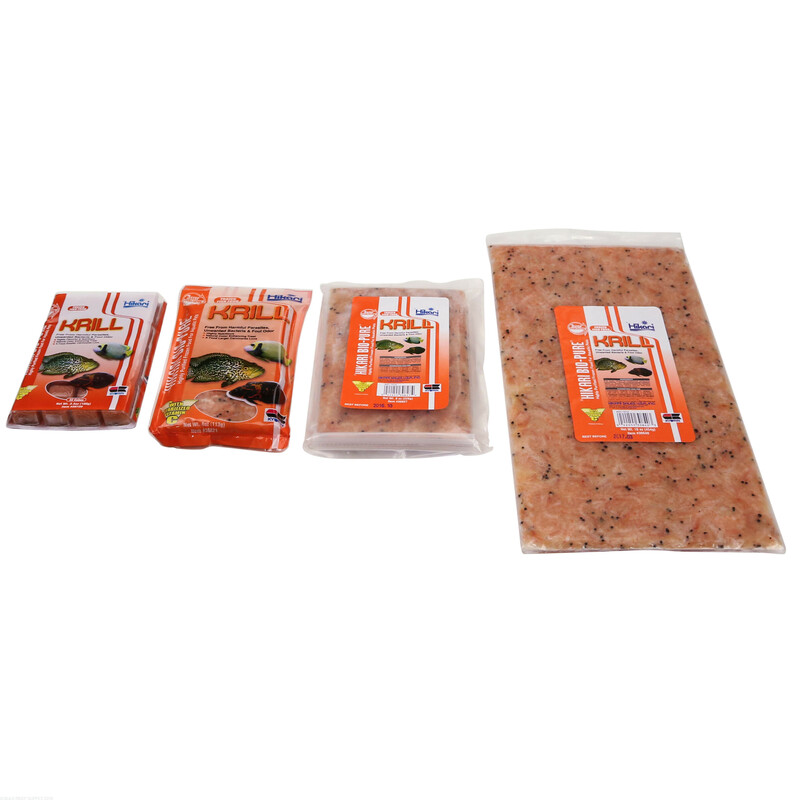 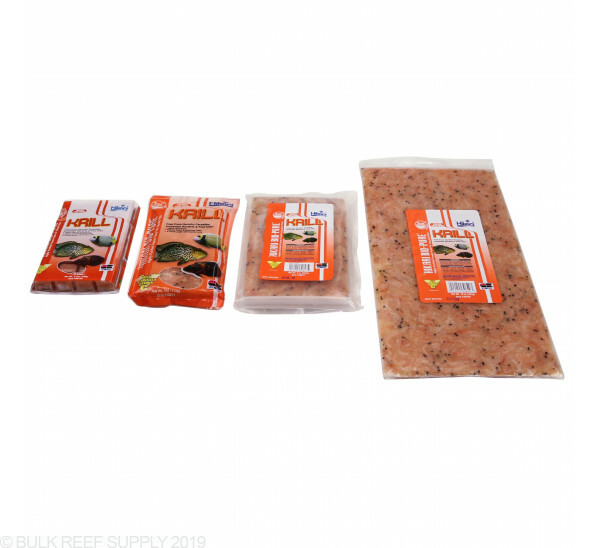 Hikari has added essential vitamins to help support the immune system of your fish, at the same time their processing procedure removes salt which greatly helps your saltwater fish complete their osmotic process when they eat, which leads to less energy usage. 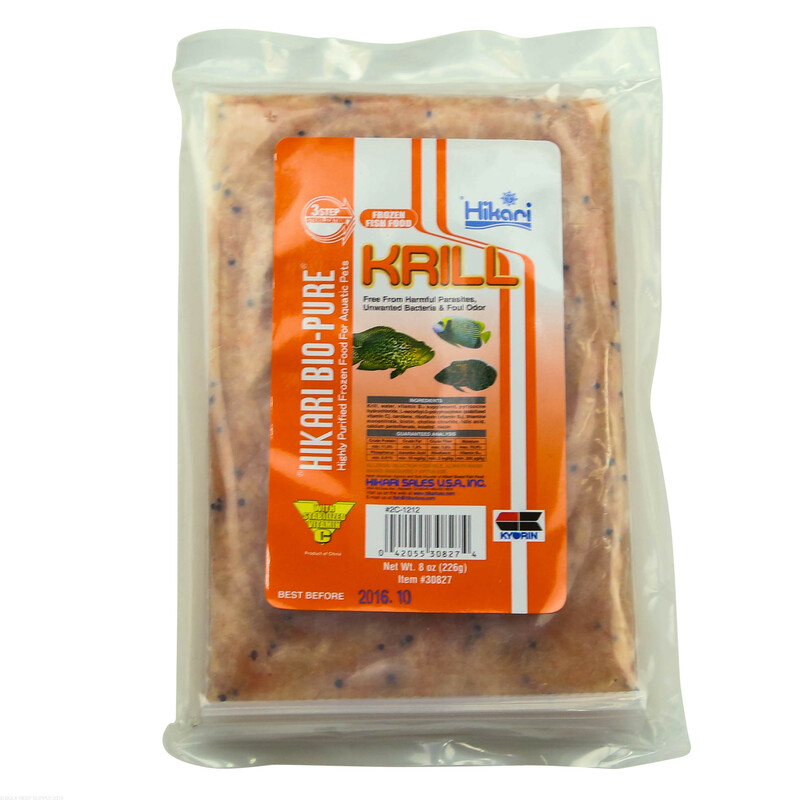 Krill is a great food for larger fresh or saltwater fish, that is packed with protein and other valuable vitamins. 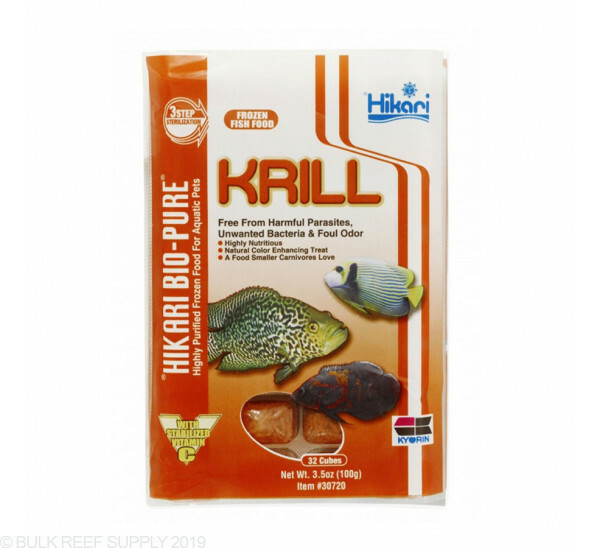 The nutritional content of Krill will help bring back the color of your fish while providing a food that is of some of the highest quality available. 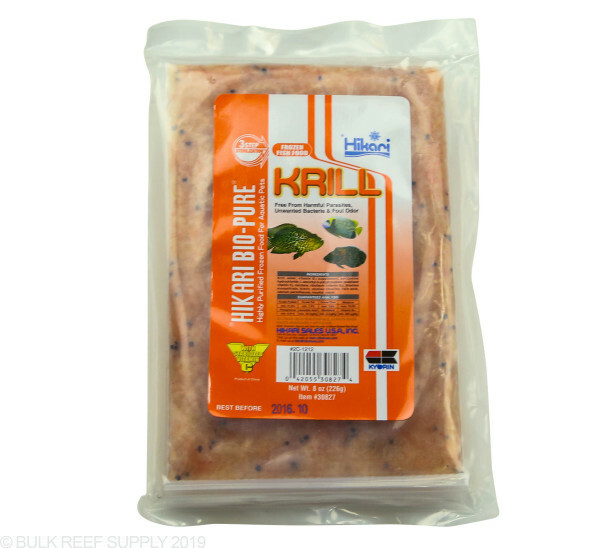 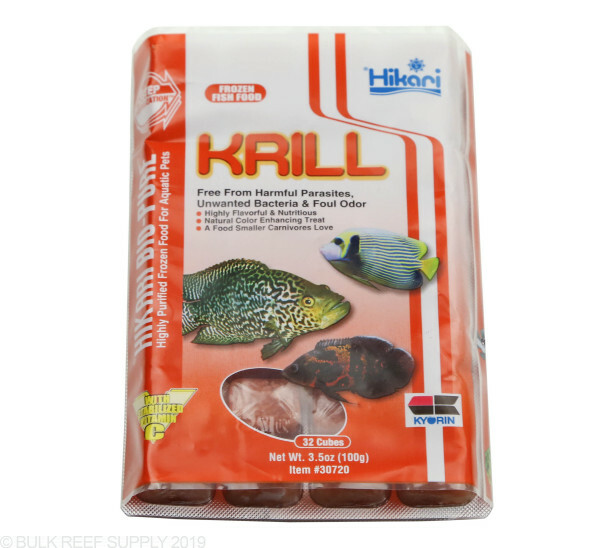 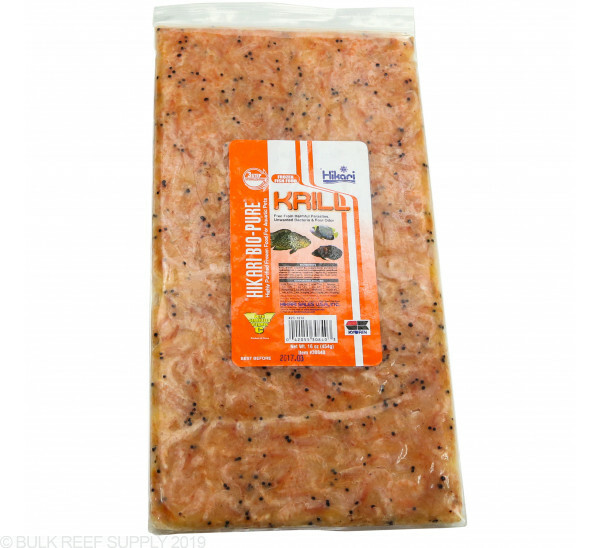 Krill is best if used as a treat for your fish. 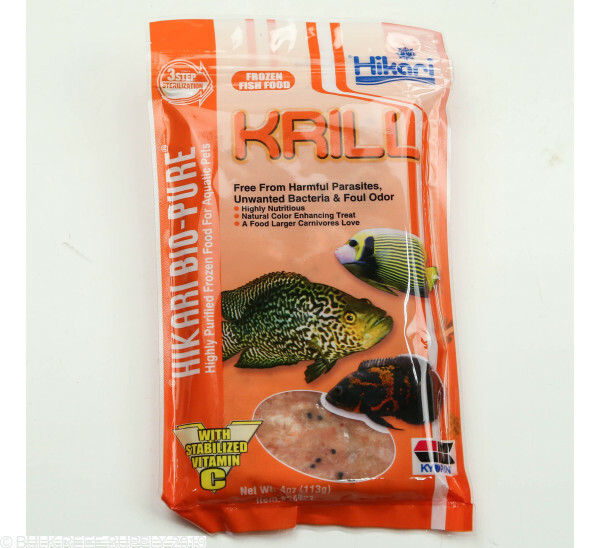 Feed only as much as your fish will consume in a 1 minute period no more than twice a day. 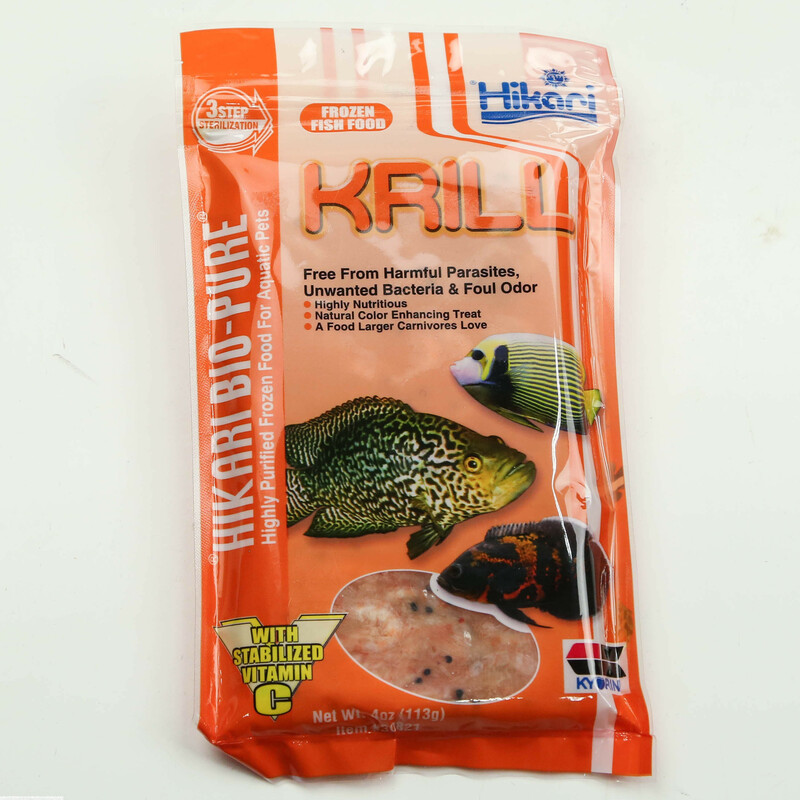 With larger foods it is best to closely monitor feedings for uneaten particles. 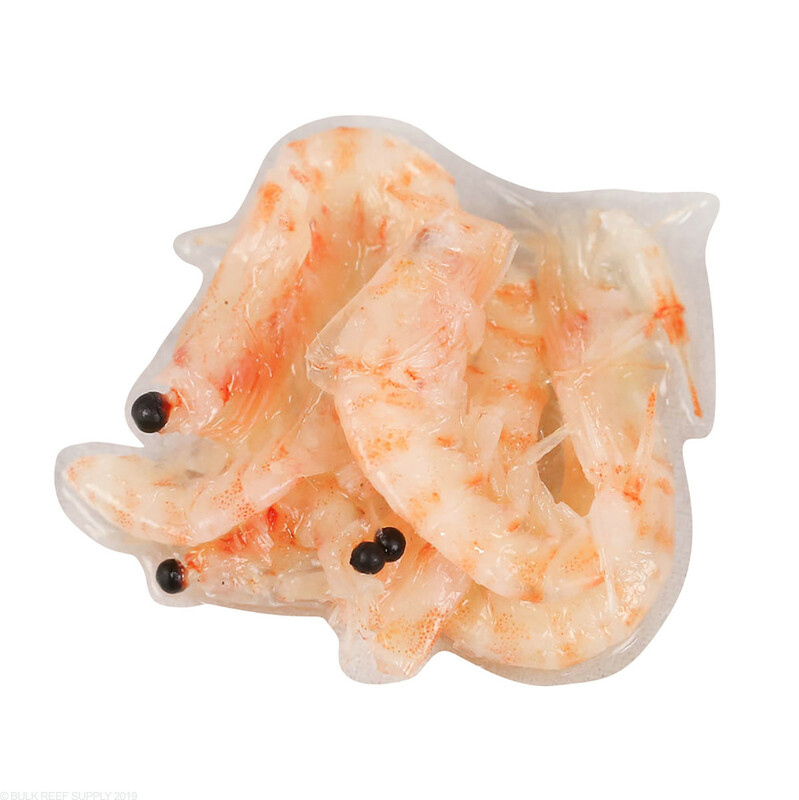 Uneaten foods will break down and can lead to poor water conditions. 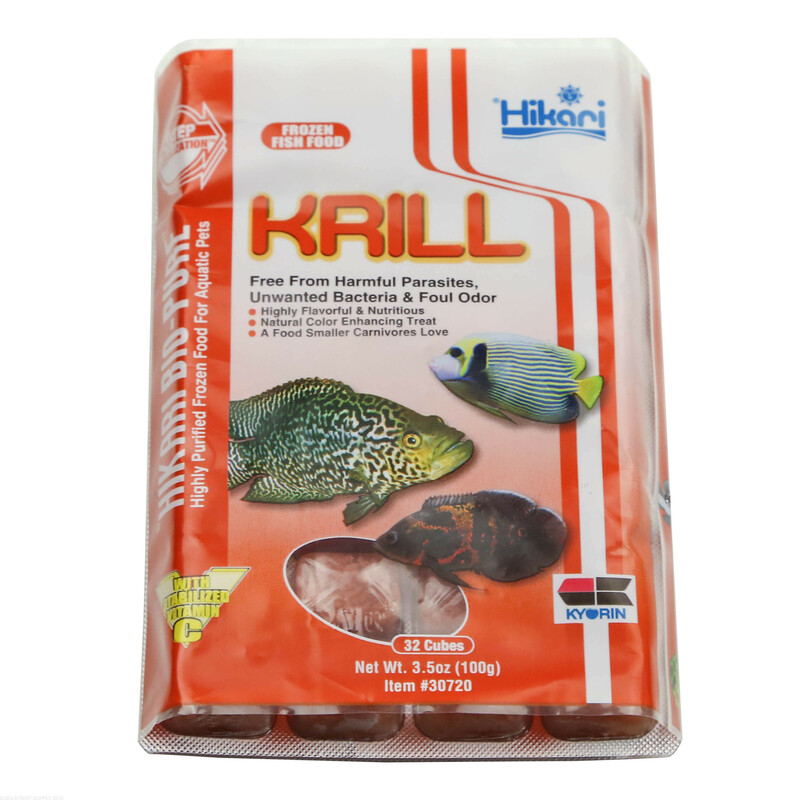 Krill Ingredients: Krill, water, vitamin B12 supplement, pyridoxine hydrochloride, L-ascorbyl-2-phosphate (stabilized vitamin C), carotene, riboflavin (vitamin B2), thiamine mononitrate, biotin, choline chloride, folic acid, calcium pantothenate, inositol, niacin.